Introducing my favorite YouTube channel: My Drunk Kitchen! 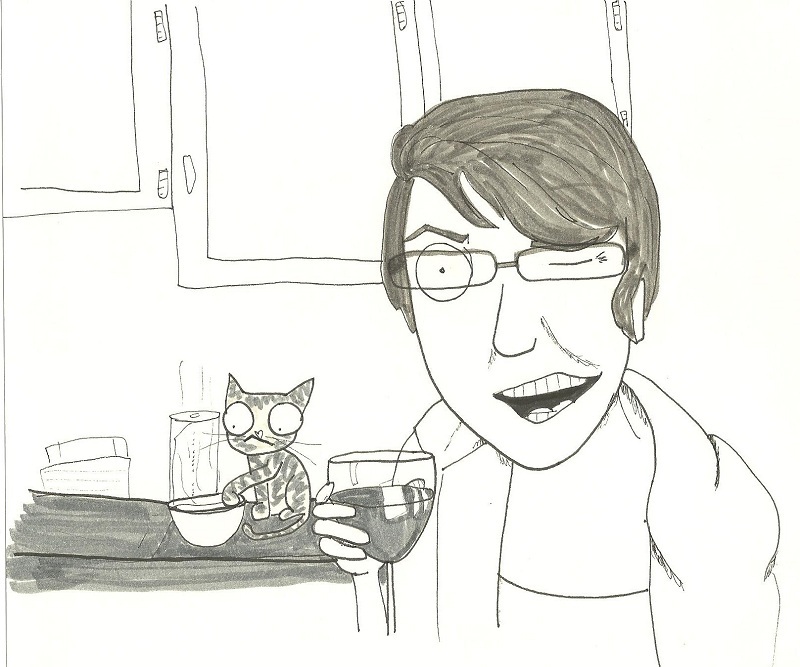 Ok, so let me start first by saying I didn’t mean to make the host of My Drunk Kitchen out to look menacing, so sorry if it kinda looks like that. Now back to what the heck this is. If you regularly browse the internet like I do, you stumble across some weird stuff. Occasionally you get some weird stuff that’s AWESOME. This is one of those things. Harto makes super funny YouTube videos (<– check ’em out here!) that involve large amounts of alcohol consumption and the ensuing cooking (?) of stuff. I crack up every time I watch them. Plus, she seems fun. And she has a cat in some of her videos. And she meowed in the most recent one. So there you have it. Check them out – you WON’T be disappointed. Well, you might, but don’t blame me. Haha I agree! The ice cream video was hilarious!